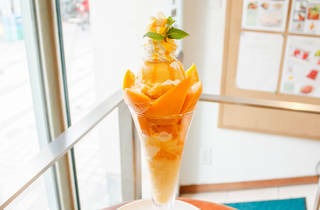 A fruit café located a five-minute walk from Monzen-Nakacho Station, in the direction of Tomioka Hachimangu. In addition to favourites such as apple juice, mango juice and papaya juice, among a whole range of other freshly squeezed seasonal juices such as raspberry juice, they also offer a range of fruity snacks such as parfaits, waffles and sandwiches. 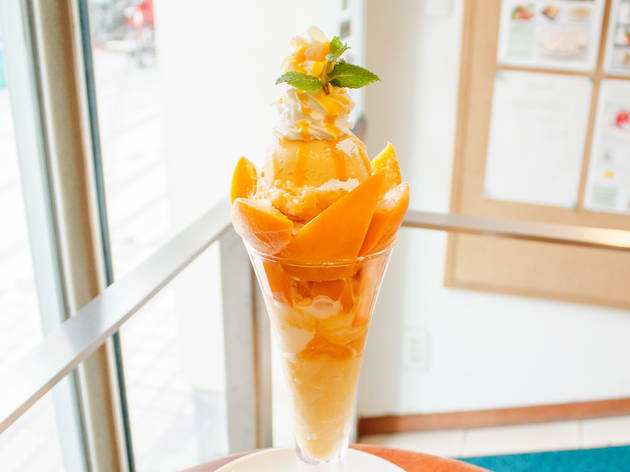 Popular summer menu items here include watermelon juice, peach juice and passion fruit juice.